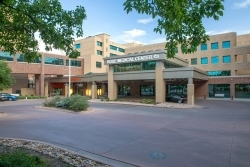 Rose Medical Center Named a Best Hospital in Denver Metro and State of Colorado for 2018-19 by U.S. News & World Report. Denver, CO, September 05, 2018 --(PR.com)-- Rose Medical Center has been named among the Best Regional Hospitals (#4) in both Colorado and the Denver metro area for 2018-19 by U.S. News & World Report’s annual hospital ranking. The report also gives Rose a high-performance rating in Heart Failure, Hip Replacement, Knee Replacement, Geriatrics, Orthopedics, Pulmonology and Urology. The annual Best Hospital rankings from U.S. News & World Report serve as a tool to help patients decide where to receive care. The report evaluates data from nearly 5,000 hospitals, with a focus on 16 adult specialties, nine adult procedures and conditions and 10 pediatric specialties. Ratings for procedures and conditions focus on typical Medicare patients. Hospitals that do well in multiple areas of adult care, such as Rose Medical Center, may be ranked regionally in their state or metropolitan area. For more information about the U.S. News & World Report Best Hospital rankings, please visit http://health.usnews.com/best-hospitals/area/co/rose-medical-center-6840325.